RETRO KIMMER'S BLOG: TOP 5 HOTELS IN DETROIT! 1. The MGM Grand- The MGM Grand Detroit is not only a luxury hotel, but it's also a huge casino, which gives it a little bit of a Vegas vibe. The casino is home to over 90 table games and thousands of slots and video poker machines. Feel free to skip the games and check out the other amenities the hotel has to offer. You can dine at one of the many restaurants or dance in some of the best nightclubs in Detroit. There is even a spa and an indoor spa. Afterwards, you can head back to your room. You will love staying here and you'll love the friendly staff and the spacious bathrooms and showers. 2. The Townsend - This hotel can be found Birmingham, which is a suburb of Detroit. It’s a great option as a Five Star Hotel in Michigan, has a great atmosphere, offers afternoon tea and has a great staff that pays close attention to their guests. Many guests have raved about the rooms, which have been renovated and feature Egyptian cotton sheets, large televisions and large marble bathrooms that feature soaking tubs. Not only that, but there are numerous dining options offered by the hotel. There is one downside and that is you'll have to pay a fee for premium WiFi. If you want in-room WiFi, then be prepared to pay for it. 3.Henry, Autograph Collection- This hotel is located in Dearborn and guests seem to love its setting. Many guests have mentioned how it is located in a safe area and it is close to downtown. Not only is the hotel's location praised, but so is its comfortable rooms, which have comfortable linens and marble bathrooms. There's also free WiFi, so feel free to use your favorite mobile device while there. You can venture to the nearby area to find something to eat, but feel free to go to the hotel's on-site restaurant called TRIA. It serves organic and seasonal food, and the dishes are priced fairly. If you want to workout, then you can do it at the fitness center or you can go for a swim in the indoor swimming pool. The staff is attentive and friendly, so you can rest assure you will be treated with respect. 4. 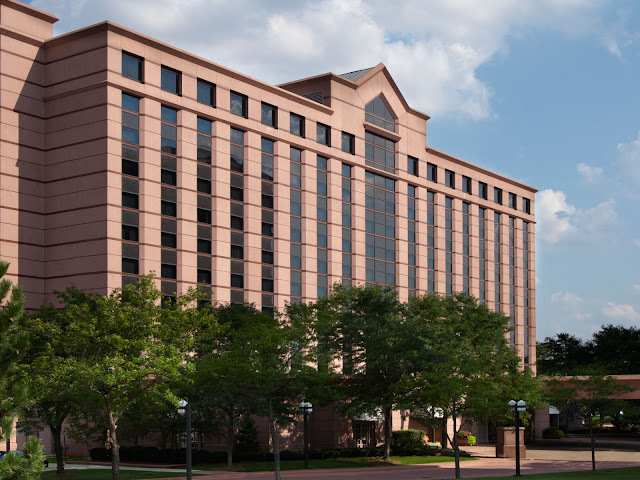 The Westin Detroit Metropolitan Airport- This hotel is adjacent to the airport, and there's a 24-hour shuttle service that can take you to the North Terminal, which makes it easy for guests to catch flights. A lot of people like staying here when they have to catch early morning flights. Valet parking is available, which is convenient for those who don't want to park their cars. If that wasn't impressive enough, you'll be pleased to know there's a fitness center on-site and very comfortable beds in the rooms. Guests who have stayed there recently have mentioned how the on-site restaurant serves amazing food, but is a bit on the expensive side. 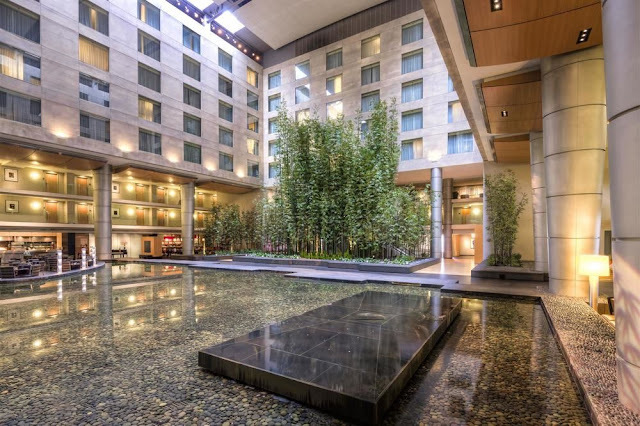 If you have points from the Starwood Preferred program, then redeem them if you stay at the Westin Detroit Metropolitan Airport. 5. 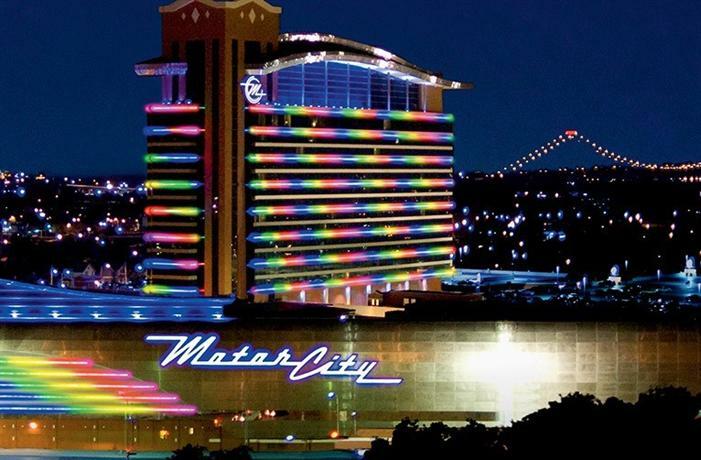 The MotorCity Casino Hotel- This hotel offers the best of both worlds, as it doubles as a hotel and a casino, so feel free to gamble at one of the tables or play a few slots and video poker games. There's a fitness center, spa and numerous dining options you can choose from. Once in your room, you will enjoy sleeping on comfortable linens and free WiFi access. If you're after extensive luxury, then you should look for another place. This is because the hotel does look its age, but nonetheless it is a good place to stay at. 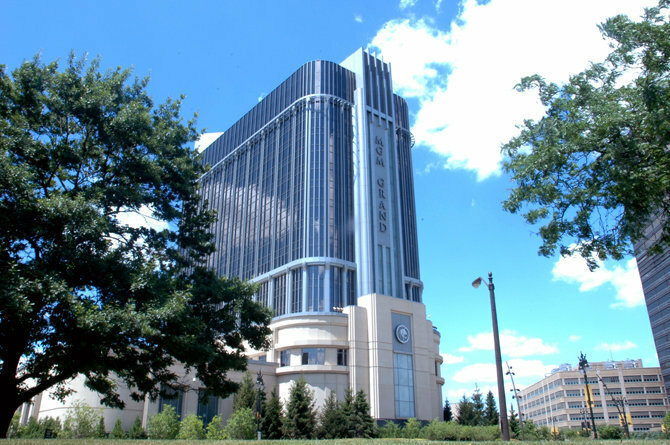 If you want to stay at the MotorCity Casino Hotel, then you'll find it northeast of the center of Detroit.